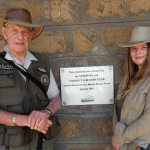 In January 2018, I was the film coordinator on a humanitarian aid and wildlife conservation expedition to Kenya, championed by the Scientific Exploration Society and led by renewed explorer Colonel Blashford-Snell (OBE). The expedition collaborated with Mt Kenya Trust and El Karama Conservancy to administer dental and medical aid, distribute reading glasses & schools books and to research further into human/wildlife conflict in the area. 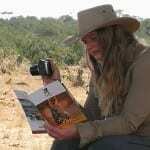 Filming the expedition and working as film coordinator was challenging at times, but enjoyable. There were certainly a lot of people and cameras to help and assist and I was really impressed with what people produced. The main technical challenge, I personally faced on the expedition, was charging batteries and having to be constantly aware of where my next power source would be. I experienced solar power packs not working, extension cables packing up and an influx of people using generators, which just destroyed my batteries. I had to take a risk and conserve my batteries, only using my camera at the most vital parts of the expedition until I could get to a larger power source. I also managed to lose my lens cap whilst at the school and have no doubt that it will become a special memento to a child! Other challenges included, working with the natural light, filming in the dark and staying as still as possible, especially on the safari trucks and trekking through the mountains! Despite these challenges, I am pleased to say that there is some excellent footage and I am now in the process of editing it. This expedition was all about team work and using everyone’s skills and abilities together. I got the opportunity to use new equipment, meet new people, and assist in finding solutions to human/wildlife conflict and change people’s lives for the better. I was privileged to have the opportunity to go be offered this career changing opportunity, without the funding and support of the Welsh Broadcasting Trust, I would not have been able to go. So, I say a huge thank you for helping support me. I am extremely grateful your kindness and believing in me.